Reallly nice color laser printer. Prints as good as the expensive color laser's I use at work. Perfect for personal or home office use. Absolutely no complaints on the operation, performance, or print quality. Only complaint I have is the expense of the toners. Cost more to replace them than the price of the printer. Thumbs up for the operation, thumbs down on the price of the consumables. So far I love my new laser jet. I use it mostly for a home based business to print flyers and it works great! I have yet to replace the cartridges and I would have had to do that with my ink jet by now. I don't even worry as much when the kids print something as I know there's plenty of ink in there. It's fast and my flyers look wonderful! 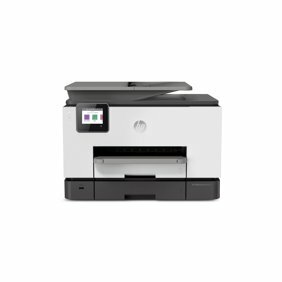 I have owned two workhorse mono laser printers and two color inkjets in the past (none of them HP), and was attracted to this color printer because of the price, and my dissatisfaction with the amount of ink my latest inkjet was using. I replaced both my mono laser and color inkjet with this one printer, and overall, I am very satified with the 2600n. The print quality is great, provided one remembers to make the appropriate choice of paper type when going through the print set-up menu. Although some reviewers have had problems with card stock and other paper types, I have experienced none of those problems. There are however some notable drawbacks: 1) The consumables are expensive. Even though the print capacity is relatively high, the cartridges are still more than what they should be. 2) Although lightweight, the printer is big and bulky due to its height. However, The "floor space" it takes up is comparable to most other printers. 3) Paper feeds through the front of the printer, but comes out the back at the top. Printers I've owned before fed from the front and came out the front. 4) The digital menu screen on the front of the printer is small, dark, and difficult to read. Although I'm sitting less than 2 feet from it at my computer, I can't read it without getting up and looking right at it. 5) It is no speed demon, although the speed when printing multiple copies is faster than what I had expected. In spite of the drawbacks, I have not regretted the purchase of this printer and would recommend it to others based on my experience with it. More printer than I expected for the price. I use this printer for regular printing and for printing pictures taken by a 5 megapixel camera. I am amazed at its print quality and its ability to print on heavy card stock. An unexpected feature of this printer is it ability to serve both the network port and the USB port,without switching or reconfiguring the printer.A very nice printer ! This is a great printer for anyone that has more than 1 computer in the house. With the built in print server it allows you to print from any computer connected to your network, even while relaxing in another room playing on a laptop. I currently have 4 Different Operating Systems (Windows ME, XP Home, XP Pro, and Vista Home Premium) running in my house and it works perfectly with all of them. I would highly recommend this printer!! I would definitely recommend this product to anyone looking for a color laser printer. I bought this printer about 8-9 months ago and still have a little over 15% left in the toner. It may be a little more expensive than the inkjets but these in the long-run pay for themselves, I would've gone through 3 or 4 ink cartridges if I was still using my old inkjet. I was also AMAZED when I first printed the test page, it blew my mind how clear it came out (even on standard printer paper)! The installation was a snap, you plug it into the router, turn it on, let it calibrate, pop in the CD into all networked computers, and installation is complete! Never again will I use anything but an HP LaserJet. This printer has become our favorite computer purchase ever. The quality is great, even for making photo cards and pictures. The value is wonderful. We've had our 2600n for almost 1 year and have not had to replace a toner cartridge yet. We are homeschoolers so we use it for both black and white and color worksheets daily. I would recommend this printer to anyone. My father-in-law was so impressed with it when he was visiting us, he went home and bought one of his own. For the price this is a printer that is definitely within budget for a home office looking for something a little speedier than an inkjet and with the quality of a laser printer. One of the major bonuses for this printer is the network port. With many new homes being connected to broadband and having their own internal networks, having a printer to share between several computers is a great benefit. Colors are good, the printer is quick and quiet, and it will work great for most people until a few years down the road and people start upgrading to 64 bit operating systems. With RAM getting so much cheaper these days, 32 bit operating systems (such as windows xp and vista) won't be able to support over 4 GB of RAM. Their 64 bit counterparts however can. The issue with the 2600n is that it is a host based printer which means that your computer you are printing from does all of the heavy lifting and processing. How this becomes an issue is that the drivers are a key component for the printer to work. With other printers being able to understand different formats such as PCL and PS, they can work with semi-compatible drivers. The 2600n must have drivers written to support the 64 bit OS and it seems that HP has left that userbase out to dry. So if you plan on keeping your systems on the existing architecture you will be fine for the next few years. The plan however is eventually for everything to migrate to 64 bit and this printer isn't going to be getting on that train. I only wish I hadn't assumed that the printer would be supported when I purchased it myself. This printer does not follow the manual commands well. It repeatedly will pick up a piece of paper AND the envelope. It then prints on the paper not the envelope. Also it simply is ignoring the manual feel and doing both. I have another hp printer that prints envelopes just fine. Also the color while vibrant, does not match the specific colors it is numeric specified, therefore, my jpeg, eps or other files with company logo come out all wrong. Too warm, so that a robin's egg blue which we are trying to get comes out looking like greenish brown with only a hint at blued. Also the darn thing seems to malfunction just when you can not afford for it to. Somehow it changes ip port addresses, and then won't easily let you change them on the network. I am disappointed in this printer.